Our value this half term is Generosity. And this story is about generosity and it is called rainbowfish and it is about a fish who shared his sparkly scales. We watched this movie. 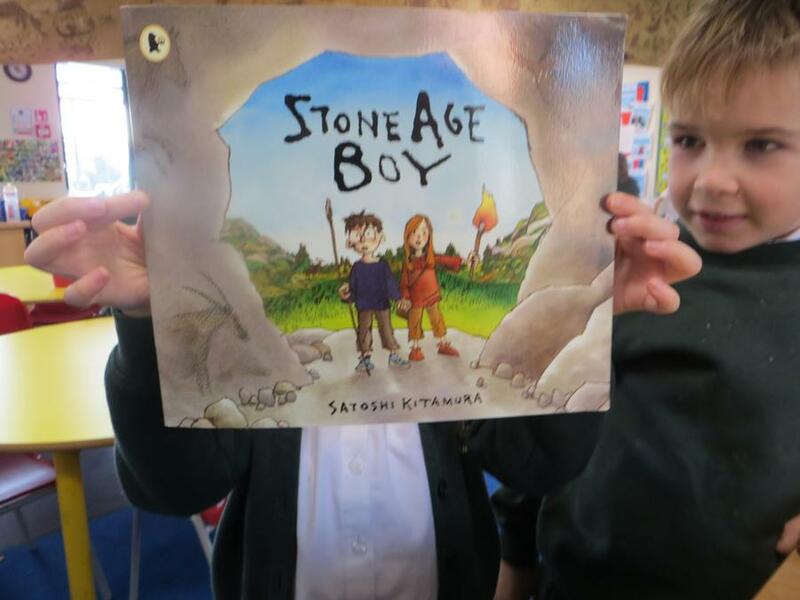 We also have been reading Stone Age Boy and it is about this boy who fell down and found himself in the Stone Age. 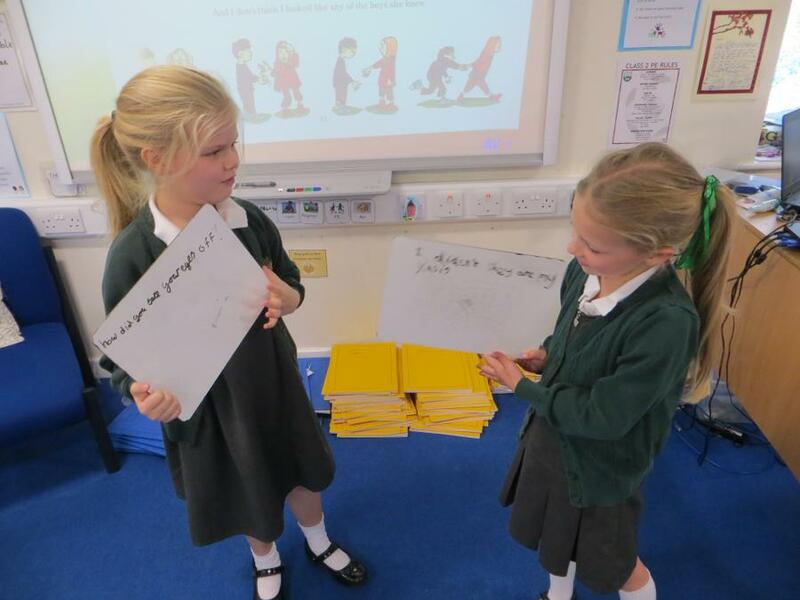 We acted out part of the book and made a conversation of our own. 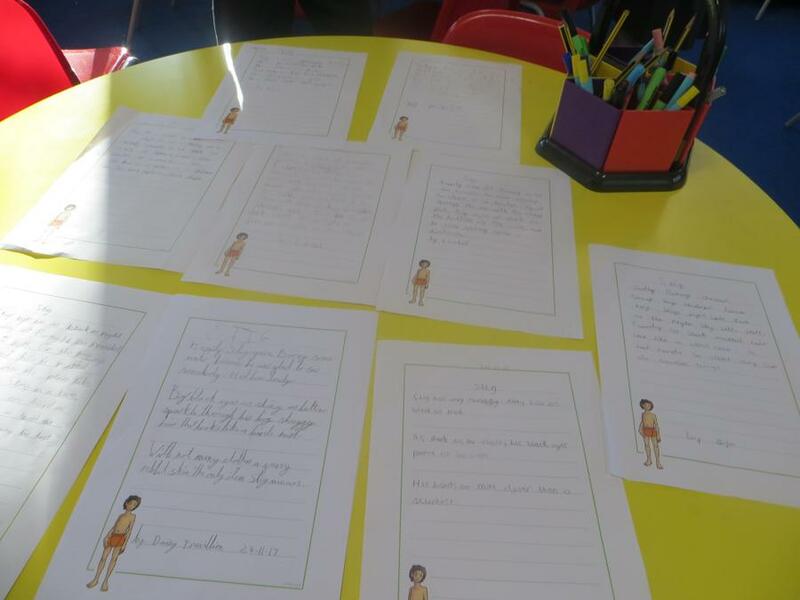 We also wrote letters thinking about what we would have written if we were Stone Age Boy! 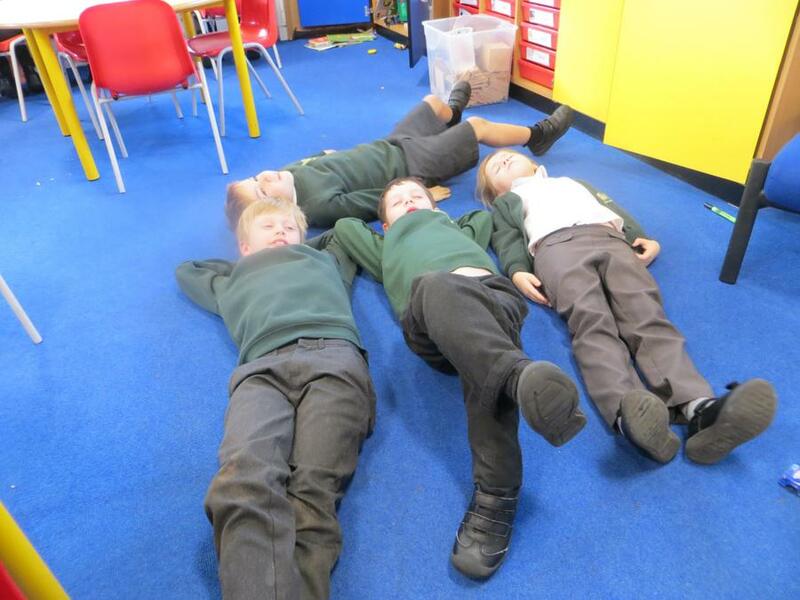 In maths we looked at shape. 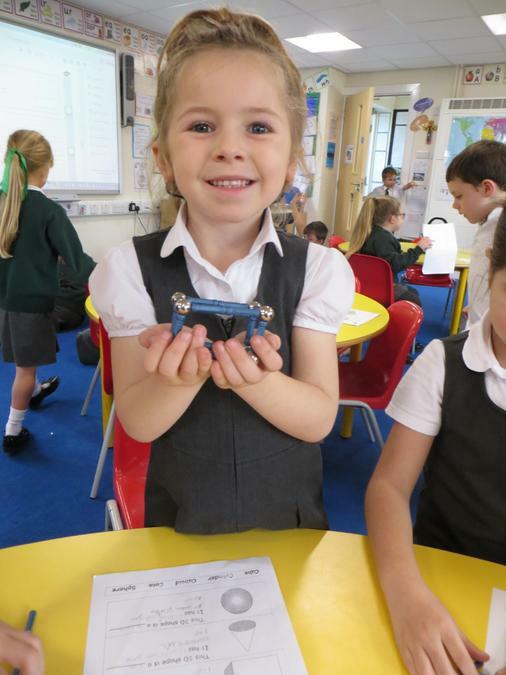 This is Daisy making a cuboid! 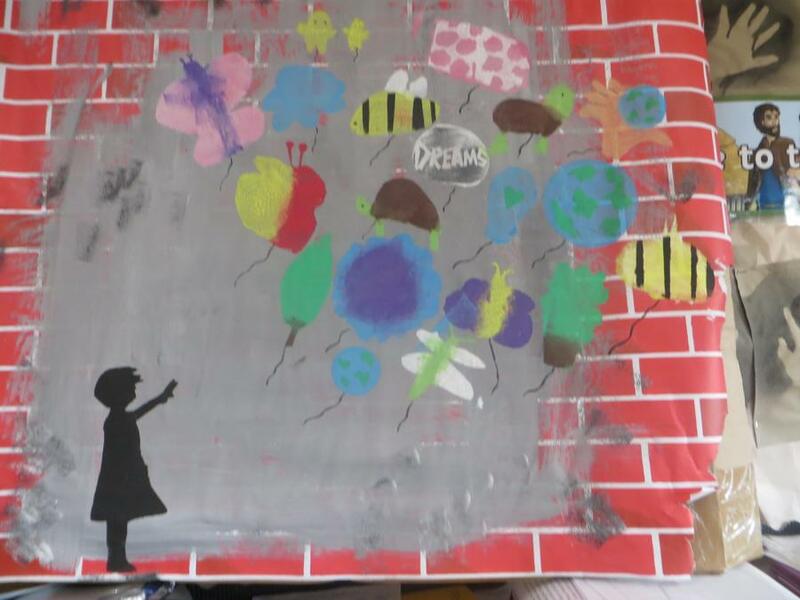 In art we worked with Mrs Danby and were doing graffiti art. We looked at this because cave men drew on walls as well. We learned about Banksy and came up with our own ways of doing graffiti art and we did our own Tag names. I am looking forward to more Open the Book over the next few weeks. I am looking forward to more geography because I like learning about the stone age. My favourite part was doing the graffiti art because we got to make our own tag names. I am looking forward to the Christmas play because we get to show it to other people. On Friday it was Children in Need Day and we dressed up in spotty clothes! We gave a donation and also got to decorate cakes with our parents! Class 2 raised £32.13! Wow! 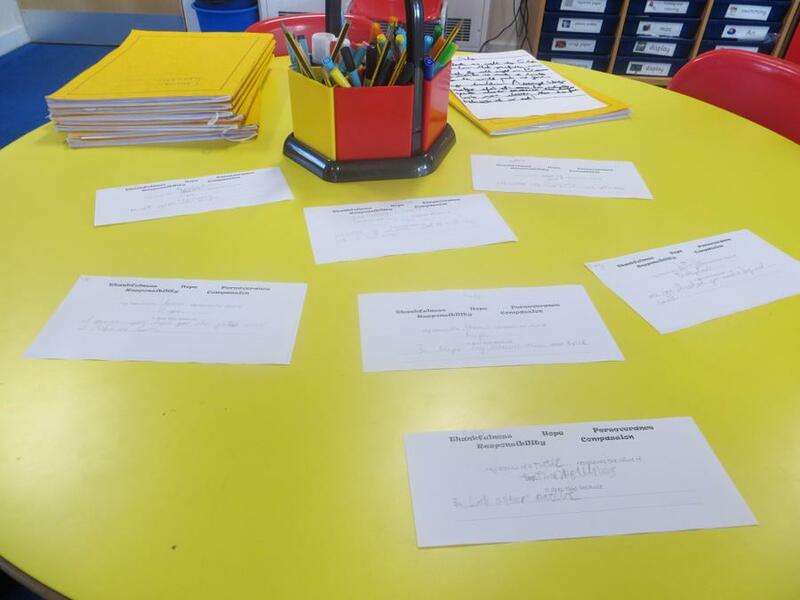 We were going to show you that we had been weighing and measuring in maths, working on our targets in maths and English and show you our graffiti art! I liked the weighing because it was fun! 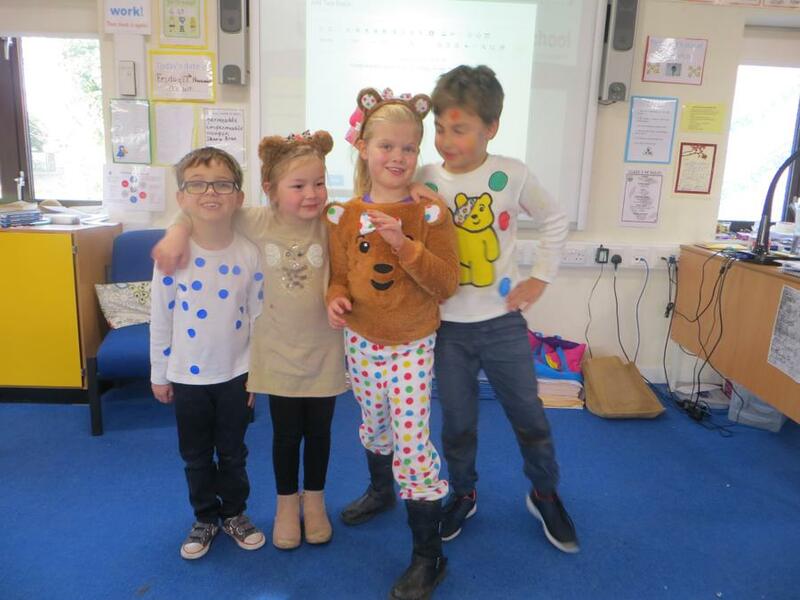 I liked Pudsey day because we got to dress up in spots! I liked when we did the maths because it was fun and it was very hard! My favourite thing was spellings because I got my spellings right! 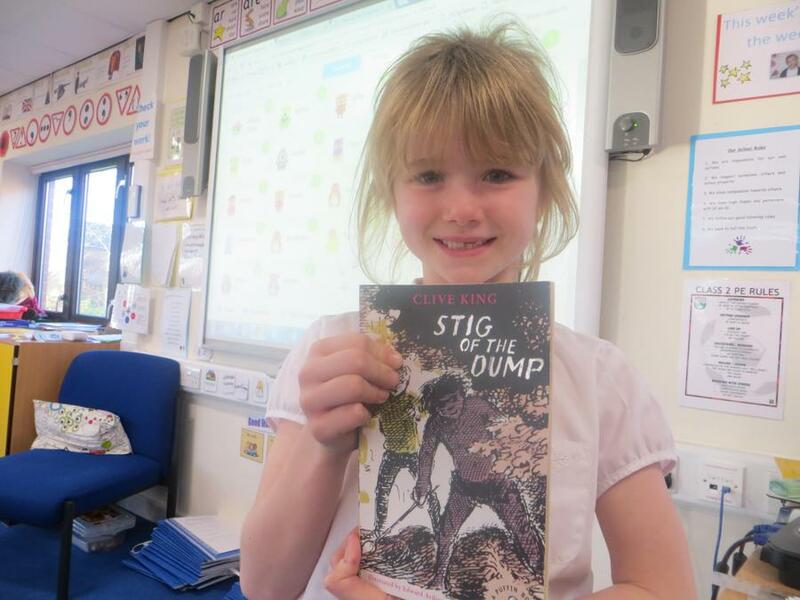 In English we have started a new book called Stig of the Dump. It is thumbs up so far! We've all enjoyed it alot. 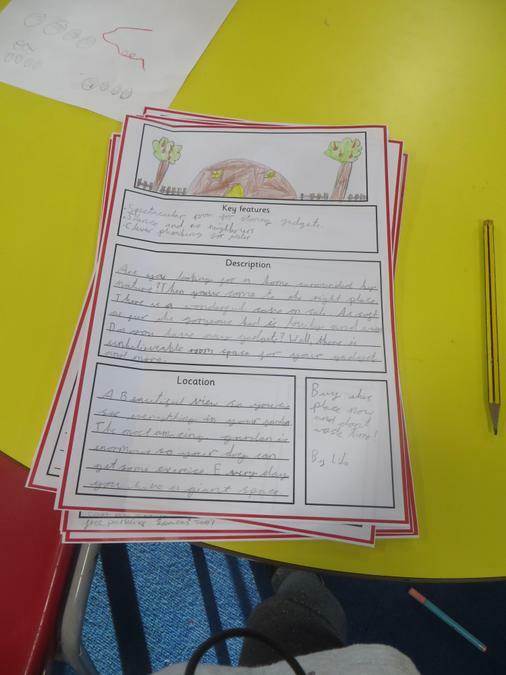 We have written amazing descriptions of Stig! They will be on the wall soon for everyone to see! 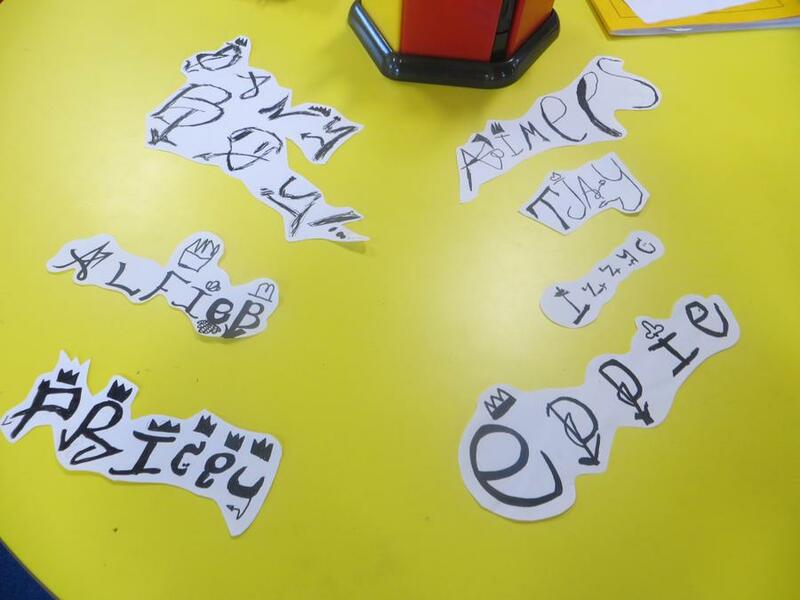 with MRS Danby we learnt about graffiti we made our oun names they muust be secret. with a specal stencel we made out of paper. 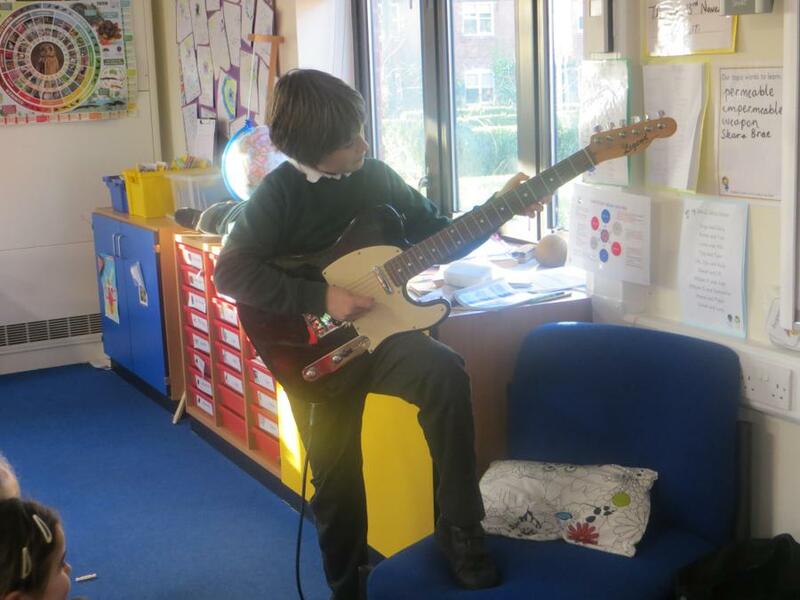 about rock music and we played an electric guitar! 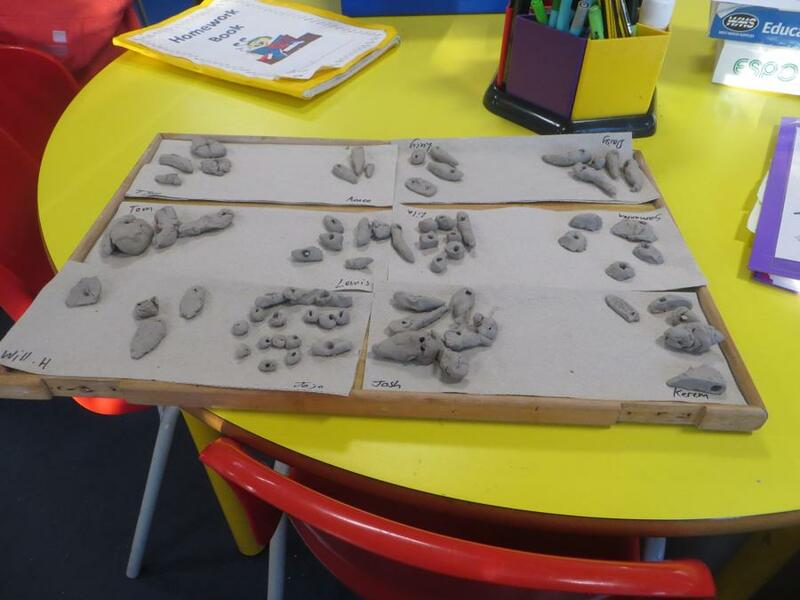 We got to make lots of sounds. 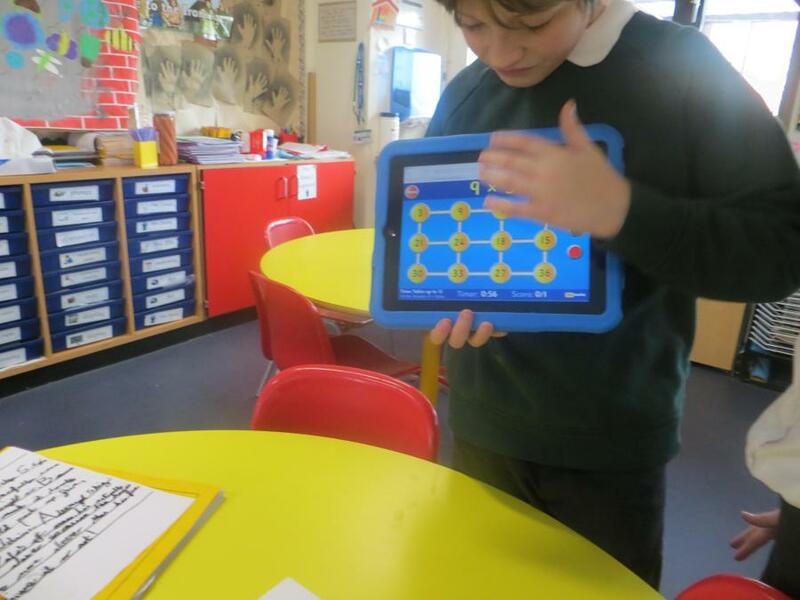 In maths we played a game called hit the button. My favourite thing is playing the game Hit the Button because it is really fun. It is teaching us times tables. My favourite things was doing the grafitti name because we got to colour it black and it was fun. 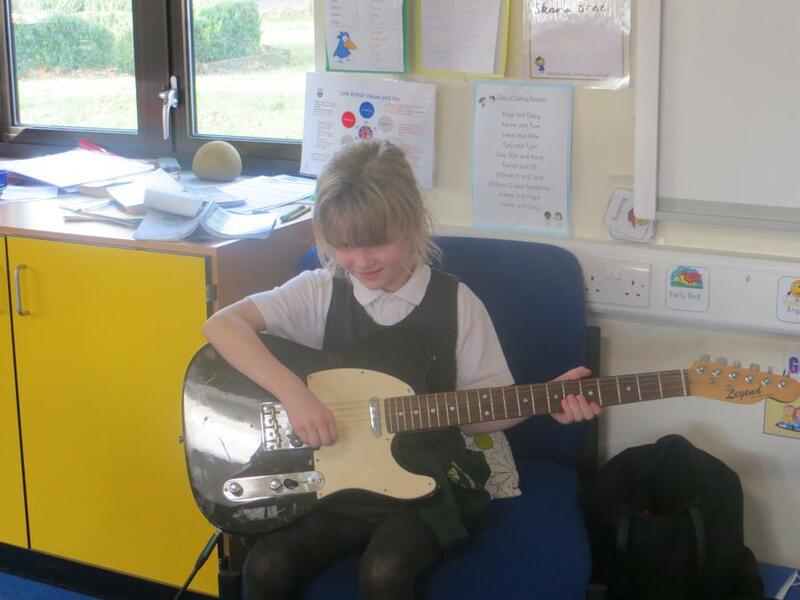 I liked playing the guitar because you got to play music with lots of different strings. My favourite thing was playing with the new toys at playtimes. School council made cakes and raised £40 to buy the toys. My favourite thing was writing the description about Stig because I think Stig was a good person to describe because he has lots of unique things about him. I won the star writer pencil as well! 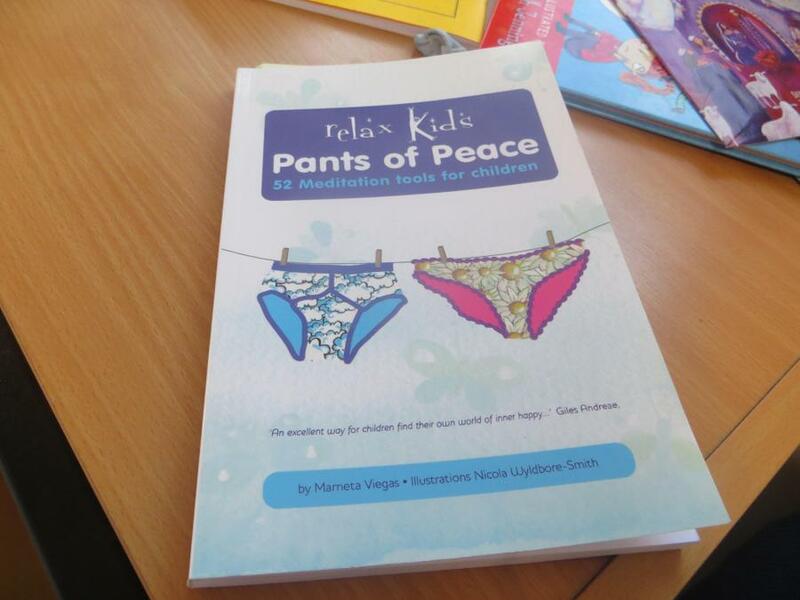 This week Nicky came in from relax kids and she told us seven different ways to relax.They were to move,play,stretch,feel,breath,believe and relax. This week we were writting about some estate agent of Stig's house.We were making it sound lovely when it isn't.